It still amazes me that Google + hasn’t seen Facebook-like adoption rates. In my view, the social site is far superior to Facebook and apparently, I’m not alone in that thinking. According to Mashable, former Apple software evangelist Guy Kawasaki thinks that Google+ has a lot in common with Apple and in fact calls the social site a religious experience. Kawasaki was leading a presentation at the conference about building your brand on Google+. Kawasaki also uses the metaphor of scales being removed from his eyes in his bio on his website when referring to the first time he saw the Apple II. Kawasaki says the design of Google+, particularly the white space of it, reminds him of an Apple Store. He also loves the way photos are integrated into your feed in the network, something I also like – along with the ease of use for the circles to segment shared content and the way video chats are so integrated into the site. At the peak of his Macintosh career in 1987, Kawasaki wrote a book called ‘The Macintosh Way’ that explained what they were trying to do with Macintosh. Now he’s decided to write another book about a product, Google’s social network, called “What the Plus?” The $2.99 e-book is available now. “I’ve written about products twice in my life: Macintosh and Google+. 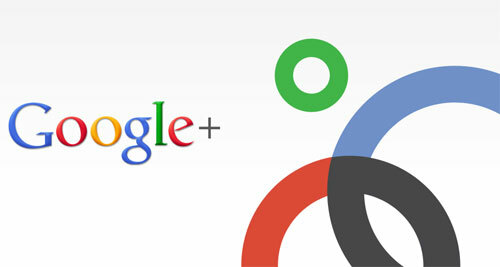 That’s how much I love Google+,” said Kawasaki. I personally hope that we begin to see more adoption to G+ and if you aren’t already circled with me, you can do so here.